Free-spirited Josie LOVES her long curly hair and all the attention it brings. When a new baby brother keeps Mommy too busy to fix Josie's curls, Josie starts to worry. How will she start first grade with messy hair? Managing a "curl girl" requires a lot of time and attention Josie comes up with a smart idea, but it doesn't quite work as planned. Find out what happens in this warm and funny Josie Story. 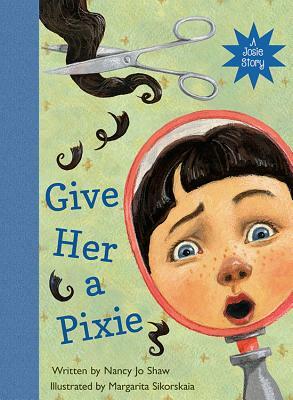 If your daughter is getting a new hairstyle you should get this book.